This article is the continuation of our previous article Top 20 Project Management Interview Questions. 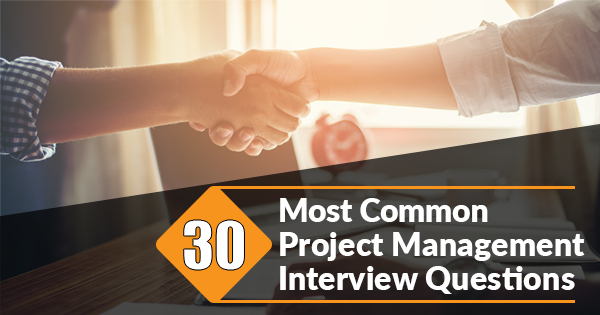 Let’s dive into the list of 30 most common Project Management Interview Question. It is recommended to read both the blogs and prepare for the interview with the 50 best project management interviews questions and answers. In most of the industries, project managers are required to handle the work of any project with perfection. The companies follow the process of interview to hire the candidates for the post of project manager. The interview process is quite different for the post of project manager as compared to the technical or senior developers interview in the industry. If you are going to face the interview for the post of project manager, you must be nervous about the possible questions and it will definitely make your heart beat faster. As a candidate, you always want to prepare yourself in the proper way so that you can beat the competition in the interview. The number of open positions for the project management jobs is continuously increasing. As per a global job report from PMI, the job opportunities for project managers with the standard skill sets will continue to increase dramatically. But today, the competition level is very high in all the industries and it is very important to prepare for any of the interviews properly to impress the employer with your knowledge and skills. You should know about some of the best project management interview questions so that you can prepare with the right strategy for the interview process. There will be questions from several categories including general, scenario-based, behavioral, technical, senior project manager, technical, and some additional in the interview. Here you are at the right place to find top project management interview questions that will definitely help you to crack the interview for the job of project manager. We’ve divided this blog into different sections, so let’s start with the basic project manager interview questions and answers. General Project Manager Interview Questions section consists of some simple but frequently asked Project Management Interview Question. 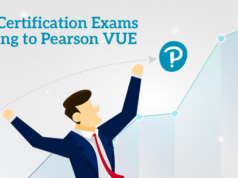 Whether you are a beginner or experienced candidate you may come across these questions so it is required to understand these questions and prepare their answers. 1. What do you think about the term project management? Answer: It is definitely the main project management interview question that you will face. You can define project management as a combination of several operations including skills, tools, knowledge, and techniques that are required for the success of any project. In the project management, it is also essential to manage time, success rate, and cost of the project. 2. According to you, what are the important skills for project managers? Answer: It is right that there can’t be a single skill that is enough for the project manager. So while answering this project manager interview question, you can include leadership skills, time management skills, and communication skills that will be very important for the success of any project. Keep the justification ready to support your answer because the interviewer will definitely ask for it. A project manager is a person who is responsible for leading the project. Read what’re the Project Manager responsibilities. 3. Where do you see yourself in next 5 years? Answer: It is the most common project management interview question that the interviewer will ask for the post of project manager. With this question, he wants to know about your future goals with the company. It will be better to describe what you want to give your best performance for the success of every project and you want to contribute to taking the company forward with your position. 4. How will you explain the project life cycle? It is very important to go through every phase in a proper way for the success of the project on the basis of the project life cycle. 5. Can you tell about the projects that you have handled with the previous company? Answer: If you have experience as a project manager, you may face this question during the project manager interview process. Keep in mind that the interviewer won’t be interested to know about the entire list. Therefore, pick some of the best projects of your work and always pick the successful one. Make sure that you are telling about the projects that are relevant to your new job. The interviewer asks project manager scenario based questions to test the decision-making skills of the candidate. The way you answer these questions represent how you may respond in various situations. Scenario-based latest project management interview question list generally includes the steps you may take to solve the problem or deal with the situation. 6. What are the main qualities required for a successful project manager? Answer: It is one of the latest project management interview question that you will need to face during the interview. There are many skills, a project manager should go for apart from technical skills in the answer to this question during the interview. You can include leadership skills, decision-making skills, risk management skills, time management skills, and prioritization skills If the interviewer asks you about the qualities of the successful project manager, here are the 10 qualities that are expected to be in a project manager to become successful. 7. How will you start a new project as a manager? Answer: With this question, the interviewer is trying to check your thoughts about any new project. As a good project manager, you will take the proper steps to understand the project and make the proper strategy to start it. You will first understand the objective and purpose of the project for starting it with your team. If you are a beginner at the project manager job, you may find this question in the list of best project management interview question. So, make sure you have prepared yourself to handle such questions. 8. How will you deal with any of the changes in the project? Answer: You should know that there may be several situations when you will need to make changes and modifications in the project. With this question, the employer wants to know about your flexibility and adaptability to the certain changes in the project. In this answer, you can tell that how will you react when the changes will occur and how will you manage the time deadline and cost for the certain changes with your team on the project. 9. You are working on a major project as project manager and going halfway through the project you realize that you’ve made a mistake due to which you will have to rework on the project from the very beginning. How will you handle this situation meeting the deadline of the project? Answer: This is completely a scenario-based project management interview question, this type of questions is asked to check your skills to handle different situations. You can answer this question in the following manner. I’ll first stop whatever I’m doing to find out the mistake. I’ll investigate if the mistake is small to correct it instantly; if so I’ll try to rectify the issue immediately. In case the mistake requires the complete rework on the project and it may even delay the delivery beyond the deadline, I’ll inform the supervisors immediately and will let them know the complete scenario. According to the situation, I’ll have to discuss with my team and make a plan, if needed, we’ll decide to give extra time to meet the deadline without affecting the project. Although it will be painful and time-consuming I’ll learn from the situation and make a note of the scenario so it could help us in the future. During the project management interview, the interviewer assesses the candidate on various perspectives to know if he is the right candidate. behavioral project management interview questions give the interviewer insight of the skills you have to deal with certain situations. If you possess the required skills, it makes them stand out of the crowd. 10. Did any of the employees or managers challenge your decisions in your previous job? Answer: Many candidates think that it will be good to go for “No” in the answer to this question but it is very common to face the situation of disagreement in any of the projects. It will be better to say “Yes” in the answer and you can describe the situation in a proper way so that you can make a positive impression on the interviewer. 11. How will you ensure that your team will stay on the right track to complete the project on deadline? Answer: In the answer to this project management question, you can say “I will communicate on the basis of expectations from the project before starting it with the team. I will take the regular updates of the progress and I will discuss every phase of the project with the team. With appreciation and feedback from the team members, I will make sure that they will complete it on the given time”. 12. If any of the customers are not happy with the quality or results of the product, what will you do as a project manager? Answer: This question also lies under the category of scenario based project management interview questions and answers, so the answer should also be scenario based. Customer satisfaction is always one of the priorities for any company. It is important that you can show that you value your customers with your answer. If the customer is unhappy with the results or quality of the product, you will see which kind of modifications they expect from the company in the product. Then, you will try to do that by discussing with your team so that the project can meet the requirements of the customer with perfection. 13. How should project managers communicate on the failure of any project with the team? Answer: As a project manager, you must have the quality to handle the failures in a proper way as a leader with your team. When your team works on any project and it fails, you should make sure that the failure doesn’t affect the focus and morality of the team members. You can tell that instead of charging any of the team members, you will discuss the reasons for failure with the collective responsibility. In this section, we have covered senior project manager interview questions with the detailed answers. As the heading suggests, these questions are asked to the candidates who have some significant experiment in the project management domain. With these questions, interviewer tests your advanced knowledge on various aspects of project management. Let’s go through some common senior project manager interview questions. 14. Do you know about Pareto analysis/principle? Answer: This is a knowledge-based most popular project management interview question that you may face in the interview if you have considerable experience in project management. According to Pareto principal, 80% of results will come from 20% of your actions in the project. This analysis is used to prioritize the work by the project managers. If you have experience as the project manager, you must have information about this principle to use it for the projects. 15. Do you think that integrity is an essential quality of any project manager? Answer: The obvious answer to this question is “Yes” and you have to describe it properly to the interviewer. Any of the companies want the employees who will share principles and values of the company. If you are at a responsible position of project manager, you have to show the proper way to other team members for the project. It is essential to earning the trust of your boss and the respect of your team members to become a successful project manager. 16. What was the biggest challenge you faced during any of the projects in past? Answer: Most of the candidates will say that I didn’t get the right time or I didn’t get the supportive boss. You should never go for these kinds of answers to a new employer. You can describe the answer on the basis of an example situation and make sure that you are describing the way you handled the situation and you faced the challenge. You can also describe what you learned from this situation. 17. Which type of project you want according to your interest and why? Answer: You may face this question because it is considered the most common project management interview question. Make sure to make a research about the company and types of projects that they deal with. In your answer, you should tell about the projects that the company will offer commonly to you as a project manager. 18. What are the tools for project management that you have used in the past? 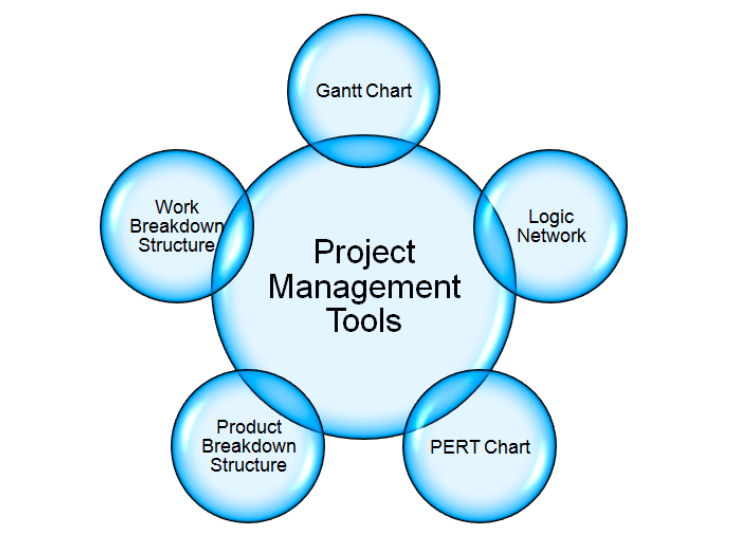 Answer: Today, several tools are available to make the work perfect for the project management. You can make research to know about the particular project management software used by the company. You can also know about some of the top and advanced project management tools available for it if you are able to work on it with your new company. 19. How will you keep your team members motivated? Answer: It is definitely the main project management interview question that you will face if you are a senior project manager. One of the important responsibility of a project manager is to be a good leader and keep motivating his team members to raise their morale. The interviewer may ask this type of questions to know how well you act as a team leader and team player. So, to answer this question you can tell the interviewer that you will have time to time meet up with the team and ask about the issues if they are facing any. You will act like a leader instead of the manager so that the team could feel free to share their suggestions and ideas with you. You will inspire your team members to make an individual contribution and collective effort instead of imposing your decisions on them. 20. 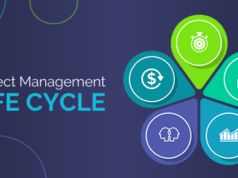 What will be involved in Project Scope Management? Answer: The project scope management is referred to as a set of processes to ensure that the scope of the project is defined and mapped accurately. The techniques involved in scope management help project managers to plan the amount of work required to complete the project successfully. In the scope management, there will be involvement of the information of requirements, creating WBS, controlling the scope and verifying the scope. In this term, WBS will define the baseline of scope for the project. The planning, controlling, and closing is the three processes of project scope management. Technical project manager interview questions basically assess the candidates for their technical aptitude and experience. If you are an experienced candidate, you may come across technical project manager interview questions on how to deal with the complexity of projects on the basis of your experience. These questions are somewhat tough but interviewer includes these questions to increase the success rate of the projects. 21. What do you think about CSF in software project management? 22. Describe CMM (Capability Maturity Model)? Initial Level – It defines the starting point of a new process. Repeatable Level – It specifies that the process is used repeatedly. Defined Level – It defines or confirms process as a standard business process. Managed Level – It involves the measurement and management of the process. Optimizing Level – It includes optimization and improvement of the process. 23. 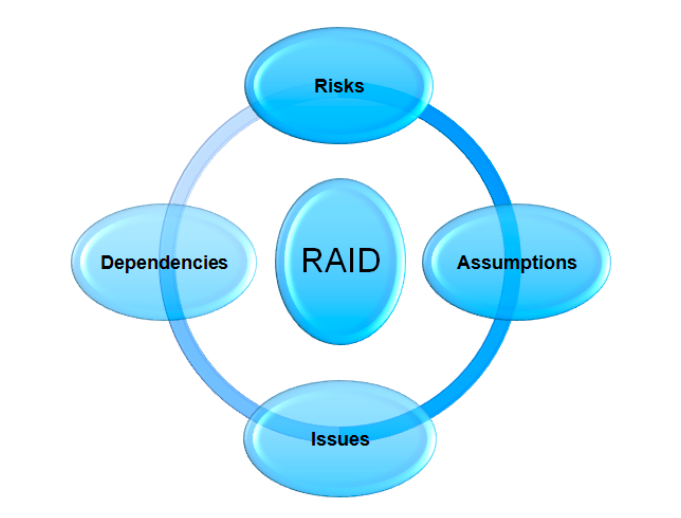 What do you understand by RAID? These are some of the important terms for any of the project manager. There is always a risk during any project and you will need to work on the right strategies with proper backup for any of the risks during the project. Dependencies and issues may limit the choice of the actions and assumptions are about estimation for the actions. 24. How will you estimate by using the three-point estimating method? 25. What do you understand by quality control? Answer: As a project manager, you must know about the term quality control. Quality-based questions are mainly included in the technical project management interview question. Completing any of the projects is one thing and maintaining the quality as per the requirements of market and customers is another. You have to understand the complete process of inspection so that you can ensure proper quality according to the requirements of the customer. In this last section, we have covered some additional but latest project management interview question you may come across during the interview. The interviewer asks these questions to check your knowledge as an expert to handle the responsibilities of a project manager. You need to answer these questions in a direct way, let’s get prepared with these most popular project management interview questions. 26. What do you know about risk register? Answer: Risk Register is a document that is used to store the information of all the identified risk in any project. Also known as Risk Log, it is created during the initial stages of the project. In this document/register, the information of all the potential actions is also stored. It is an important part of the Risk Management Plan that helps the managers to track and address the problems when they arise. 27. What is time & material contract? So, in the time and material contract, the contractor will get paid according to the used time on the project as well as all the expenses of the used material. The contractor will also get paid for all additional expenses during the contract. 28. What is probability and risk impact in the project? Answer: In the project, the team will try to determine the probability of the actual risk happening in the project as well as the impact of risk on the project. The questions based on risk are considered as the best project management interview question in a project manager interview, so you need to prepare yourself well to answer these questions. 29. What are different kinds of risk that you may face during the project? Answer: During the project, there will be a possibility of several internal, external, technical risk and it will depend on the type of project as well as many other factors related to the organization and project. 30. What do you know about the triple constraint triangle in project management? These are the most common project management interview questions that the candidate will face in the interview for the position of project manager. In the last, the interviewer may ask if you have any questions about the job. Most of the applicants reply in no to this question. However, you can go for some of the questions to show the interest in the job and company. Getting the answers to these questions is one thing and the main thing is that how will you describe these questions to the interviewer. Have you read our previous blog Top Project Management Interview Questions? Not yet, read it now and get fully prepared to crack the project management interview. As a candidate, you have to work on your confidence level and communication skills if you want to increase the chances of a successful interview for the job of project manager. It is true that there can’t be a single answer that is right for every question. However, the interviewer wants to know about your skills, experience, strengths, and weaknesses by asking project management interview question. Even if you do not have an answer, you can handle the situation with your quick decisions and skills to discuss that with the interviewer. Make sure to work on all the fields including your skills, academics, technical knowledge, behavior knowledge, and confidence when you are going to prepare for the interview for the job of project manager in the top companies. With the aim of generating revenue and customer satisfaction, the employers require all of their projects get successful. For this, they want to hire skilled and qualified project managers which in turn increases the demand for certified project management professionals. Being certified adds a credential in your resume and it also makes you stand out of the crowd in the interview. 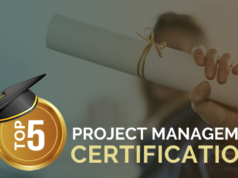 If you haven’t yet validated your project management skills, explore our project management certifications training and start preparing for the certification exam. Join our project management certification online courses and practice tests to get ahead for a bright future! Dharmalingam.N holds a master degree in Business Administration and writes on a wide range of topics ranging from technology to business analysis. He has a background in Relationship Management. Some of the topics he has written about and that have been published include; project management, business analysis and customer engagement.